In 1981, Bucks Fizz won the Eurovision Song Contest with 'Making your mind up'. 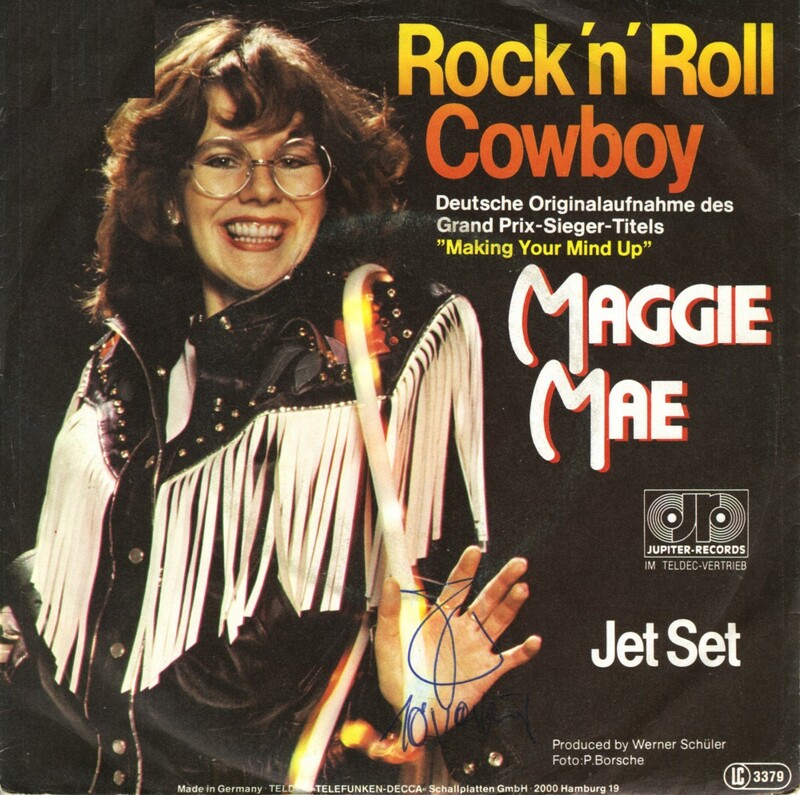 German singer Maggie Mae recorded this German cover version with alternative lyrics written by Werner Schüler and Bernd Meinunger. Entitled 'Rock 'n' Roll cowboy', it's a tale of a woman who is seduced by a Marlboro-man type of figure, but on a motorbike instead of a horse. 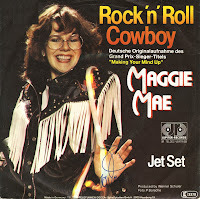 Maggie Mae was born as Cosima Andrea Carle on May 13, 1960 and made a name for herself as singer and actress. Soon after the release of this single she met Robert Trammel, with whom she married and moved to the USA. She ended her singing career and started working as a nurse.